You've Been Accepted ... Not! Columbia University's School of Professional Studies. Columbia University’s Mailman School of Public Health recently emailed good news to 277 applicants. The emails said the Ivy League school is “delighted to welcome” the 277 applicants to its graduate program in public health. But less than one hour later, the applicants received another email saying the acceptance emails were sent by mistake. This is far from the first time a college has sent out “acceptance” notices by mistake. Last year, the State University of New York at Buffalo emailed 5,000 mistaken acceptance notices, the Buffalo News reported. The school quickly corrected the information. The applicants were told they were still being considered for admission, but that no final decision had been made. Time Magazine keeps a list of colleges that mistakenly tell students they were accepted. In 2014, Johns Hopkins University in Baltimore sent out acceptance notices to 300 applicants, Time reported. That came as a surprise. Earlier, the students were told their applications had been rejected. The university quickly sent out another notice saying, regrettably, that the first rejection letter was correct. 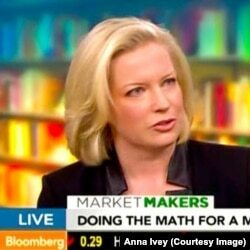 Anna Ivey is a college admission's adviser and a former college admission's officer. She said college officials “live in fear” of making a mistake on something as important as admission to a student’s dream school. But college admissions require “enough human data entry” to produce mistakes, Ivey said. For many, a rejection letter from a college they had hoped to attend is the first big disappointment of their young lives. 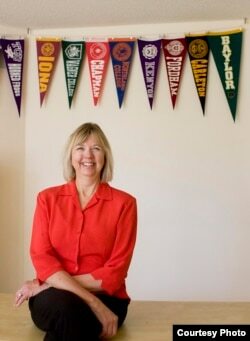 Sue Luse, like Ivey, is a college admission adviser. Some schools are so selective, she said, that even the top students in their high school class are not guaranteed admission. Sometimes, schools choose students with a talent the university needs. “It could be that the school needs a quarterback for the football team, or they might need a tuba player,” Luse said. It is important for parents not to take rejection too hard -- even when children are rejected from schools that they attended, Luse said. Parents should know it is more difficult to get into top colleges. “It might be that when they went to that school, it accepted 30 percent of applicants and now that percentage is down to five percent,” she said. The College Board prepares college entrance exams. It offers this message to students and parents getting bad news from their first college choice. Officials at top colleges say two-thirds of the students they reject have the ability to succeed at their schools. Helping applicants understand they are among many smart people denied admission to top schools can help them better deal with rejection, the College Board said. Ivey, the college adviser, said students need a little time to get over being rejected by their top college choice. “But then they need to get back to work and implement their Plan B,” she said. By Plan B, she means considering other schools, or applying to new schools still accepting applications. The acceptance rates are very low at top schools. Stanford University in California reported that it turned down 95 of every 100 people who applied for admission to its current freshman class. The chances of getting in were not much better at other top schools such as Harvard University in Massachusetts and Yale University in Connecticut. Columbia University, which recently sent out the mistaken acceptance notices, only admitted 6 percent of the 36,292 applicants for its 2016 freshman class. But there are schools that take in most applicants and some that accept all students who apply. US News and World Report said that schools that accepted all applicants in 2015 included: The Academy of Art University in San Francisco, California; California State University in Bakersfield, the College of Staten Island in New York City and Herzing University in Wisconsin.